I think I could almost say I am studying baking as a second language right now. I won’t say it’s easy, but I will say it is very rewarding (even if only in the “kitchen smells good all the time” sense). Anyway, I thought I might share with you some of the things I’m learning in BSL. I hope, if you ever choose to take on this delicious course, you’ll take note of this extremely important advice so it doesn’t become painfully obvious that you’ve enrolled in said course. in the midst of mad baking! Entice your friends into the kitchen with the job of “taste-tester” and then TRUST them! Remind yourself with each batch or finished cake that these items are going to be sold – and that finger-licking isn’t necessarily professional. Intentionally plan a workout following your baking session so you can’t over-indulge… you know you will regret it later. (This is my favorite) Allow yourself to lick the cake pan, once the cake is safely on its serving plate. There’s no point in completely denying yourself the good stuff! That’s all I got for now. Any other suggestions from fellow bakers-in-distress? let that LOVE fly like cRaZy!! 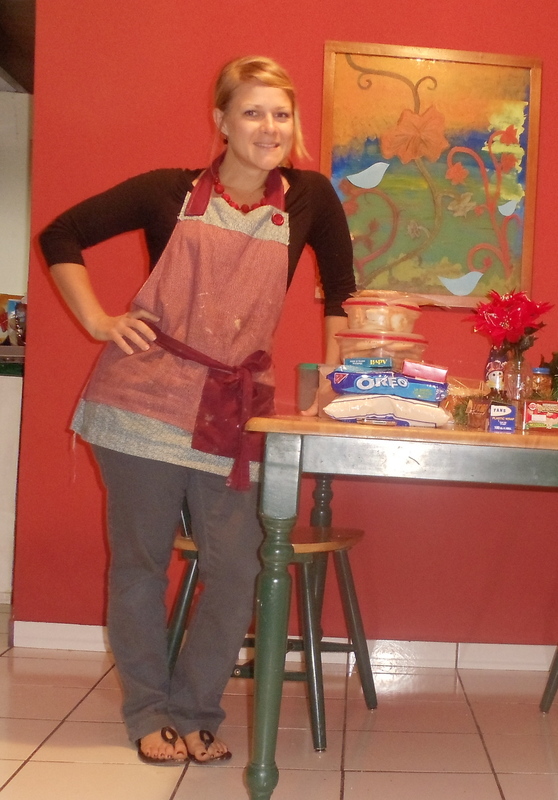 This entry was posted in anecdotes, cooking and baking, creativity. Tagged Baking, Baking and Confections, Cake, Cookie. hahaha! I was wondering how to battle the bulge while pursuing my passion. Thanks for posting them! Yeah – this is the start of a longer list… if I keep baking at this rate, that is!